On January 10, 2019, VSE Aviation, Inc. (“VSE Aviation”), a wholly owned subsidiary of VSE Corporation (“VSE”), and VSE entered into a definitive Share Purchase Agreement (the “SPA”) to acquire two privately held aviation supply chain management companies, 1st Choice Aerospace Inc., a Florida corporation, and 1st Choice Aerospace Inc., an Ohio corporation, (collectively referred to herein as the “Companies”), by acquiring all of their outstanding common stock (the “Acquisition”). The Companies, with operations in Florida and Kentucky, are providers of component maintenance, repair and overhaul (MRO) services for new generation and legacy commercial aircraft families. The Companies have approximately 200 employees. The other parties to the SPA are (a) the Companies’ shareholders, being Jose B. Sardinas, Jr., as Trustee of the Revocable Trust Agreement of Jose B. Sardinas, Jr., dated May 19, 2015, Mario Catalano, as Trustee of the Revocable Trust Agreement of Mario Catalano, dated November 20, 2014, Carolyn M. Jang Yeazel, Octavio A. Silva and Michael A. Barcey (collectively, “Sellers”), and (b) Mario Catalano as Sellers’ Representative. The SPA provides that, subject to the terms and conditions therein, VSE Aviation will acquire from Sellers all of the Companies’ outstanding common stock for an initial purchase price of $112 million payable in cash at the closing of the Acquisition (the “Closing”). After the Closing, VSE will be required to make additional purchase price payments consisting of up to $40 million, if certain “gross profit” (as defined in the SPA) financial targets are satisfied by the Companies on a combined basis during 2019 and 2020. After the Closing, the purchase price will be subject to certain other adjustments to the SPA, including in respect of the Companies’ combined net closing working capital. The foregoing description of the Acquisition does not purport to be complete, and is qualified in its entirety by reference to the full text of the SPA, a copy of which is attached as Exhibit 2.1 to this Current Report. On January 10, 2019, VSE Aviation consummated the Acquisition to the SPA described in Item 1.01 above, with funding from VSE’s existing bank revolving loan. to the SPA, approximately $1.1 million of the $112 million purchase price paid at Closing was deposited with an escrow agent to hold and disburse to an escrow agreement, in connection with indemnification claims of VSE Aviation that may arise under the SPA against Sellers. As part of the Acquisition, VSE Aviation retained the Companies’ senior management team to employment agreements. 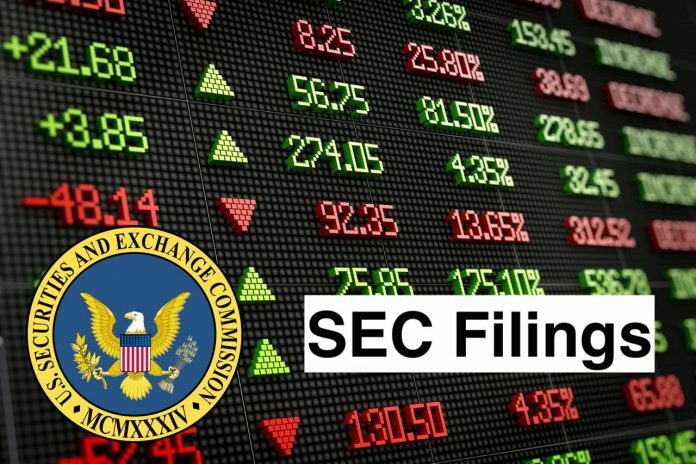 On January 10, 2019, VSE issued a press release that announced VSE’s signing of and Closing under the SPA described in Items 1.01 and 2.01 above. The press release is attached hereto as Exhibit 99.1. The financial information required by this Item 9.01(a) has not been included with the filing and will be filed by amendment to this Current Report on Form 8-K no later than 71 calendar days after January 16, 2019. The financial information required by this Item 9.01(b) has not been included with the filing and will be filed by amendment to this Current Report on Form 8-K no later than 71 calendar days after January16, 2019. Share Purchase Agreement, dated as of January 10, 2019, by and among Jose B. Sardinas, Jr., as Trustee of the Revocable Trust Agreement of Jose B. Sardinas, Jr., dated May 19, 2015, and Individually, Mario Catalano, as Trustee of the Revocable Trust Agreement of Mario Catalano, dated November 20, 2014, and Individually, Carolyn M. Jang Yeazel, Octavio Emilio Silva, Michael A. Barcey, VSE Aviation, Inc., VSE Corporation and Sellers’ Representative. *The Schedules and Exhibits to this Share Purchase Agreement (which Schedules and Exhibits are listed in the Table of Contents included in the Share Purchase Agreement as filed herewith) have been omitted from this filing to Item 601(b)(2) of Regulation S-K. The registrant will furnish supplementary copies of such omitted Schedules and Exhibits to the Securities and Exchange Commission upon request. VSE Corporation is a services and supply company. The Company’s segments include Supply Chain Management Group, Aviation Group, Federal Services Group, and IT, Energy and Management Consulting Group. The Company provides logistics and distribution services for legacy systems and equipment and professional and technical services to the United States Government, including the United States Postal Service (USPS), the United States Department of Defense (DoD), federal civilian agencies, and to commercial and other customers. The Company’s service offerings include supply chain and inventory management services; vehicle fleet sustainment programs; vehicle fleet parts; maintenance, repair, and overhaul (MRO) of aircraft engines and engine components; aircraft engine parts supply and distribution; military equipment refurbishment and modification; ship maintenance, overhaul, and follow-on technical support; logistics management support, and machinery condition analysis.